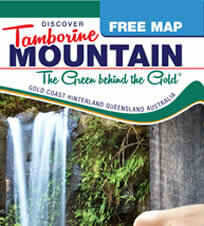 Whatever tickles your fancy – it’s right here on Tamborine Mountain! 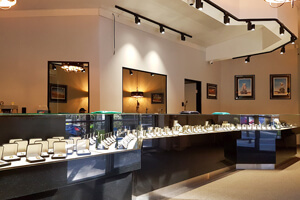 Besides all the other major and well-known attractions on Tamborine Mountain you will also find many more really great things to do, catering for all tastes and ages. Scroll through a nursery, play a round of golf or laser skirmish, check out the display of local heritage and history, go horse riding, take a photography course or how about a cane toad race? 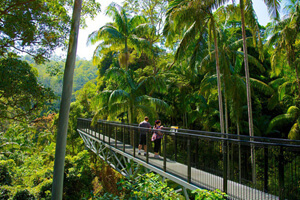 Explore the rainforest in a different and thrilling way with the “Tamborine Rainforest Skywalk”. Set in 30 private acres of magnificent rainforest alongside 1km of tumbling Cedar Creek and rock pools. Open every day (except Christmas Day) 9.30am to the last walk at 4pm. 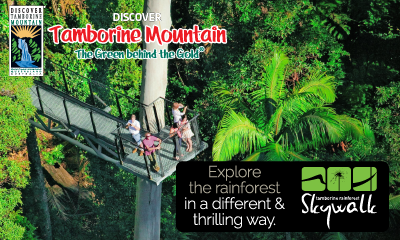 This entry was posted in Attractions, More Attractions and tagged adventure, eco, mount, mountain, Queensland, rainforest, Tamborine on June 1, 2014 by admin. Discover the “Witches Chase Cheese Factory” to sample our award winning boutique cheeses, yoghurts and ice creams – all made fresh on Tamborine Mountain. Happy Jersey cows produce our regions’ finest milk, from which we handcraft a specialty range of award winning premium cheeses including fresh, soft, blue and hard varieties. Open 7 days 10am to 4pm. 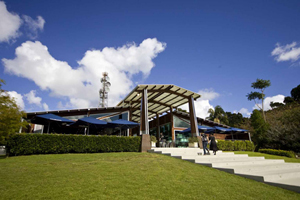 This entry was posted in Attractions, More Attractions and tagged activities, cheese factory tamborine on July 1, 2014 by admin. At Cedar Creek Estate! 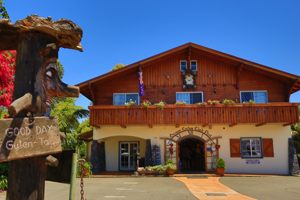 A visit to Tamborine Mountain would not be complete without visiting the “Tamborine Mountain Glow Worm Caves” at Cedar Creek Estate Vineyard. Opened in 2004, tours are approximately half an hour and will take you on an enlightening journey to another world. Walk through the rainforest on our raised boardwalk and bridge over the starting place of pristine Cedar Creek to get to the caves. This entry was posted in Attractions, More Attractions and tagged attractions, caves, glow worm, mount, mountain, rainforest, Tamborine on January 1, 2013 by admin. 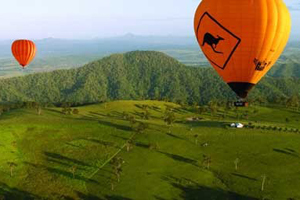 “Hot Air Balloon Scenic Rim” On your way to Tamborine Mountain, come float in a hot air balloon – it’s the ideal way to spend the morning. 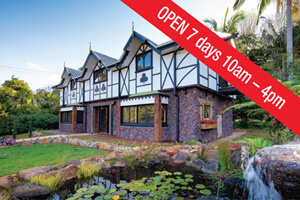 Afterwards enjoy a delicious hot breakfast with champagne at O’Reilly’s Grand Homestead with time for wine tastings at Canungra Valley Vineyard. This entry was posted in Attractions, More Attractions and tagged Ballooning, Gold Coast, hot air balloon, Lamington National Park, mount tamborine, Mt Tamborine, Tamborine Mountain on January 1, 2013 by Detlef. This entry was posted in Attractions, More Attractions and tagged Destination Tamborine Mountain, National Park, Southern Cross 4WD Tours on May 3, 2017 by Detlef. 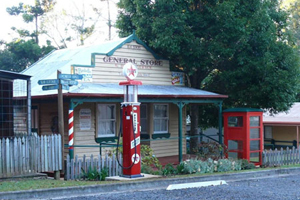 The “Tamborine Mountain Heritage Centre” is dedicated to the preservation and display of the history of Tamborine Mountain. It houses examples of the various industries which have been carried out on the mountain from timber getting to farming. The displays are housed in the Machinery Hall, Dairy, Blacksmith Shop, General Store, Slab Cottage and Pioneer Hall. Open 11am to 3pm Sundays and Public Holidays. This entry was posted in Attractions, More Attractions on January 1, 2013 by admin. 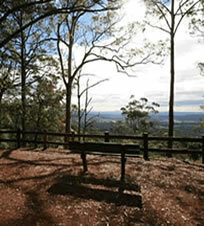 The “Tamborine Mountain Golf Course” is a beautifully groomed scenic 9 hole course with 2 tees on each hole. Lush kikuyu grass fairways and large greens with no pressures ensure the course is a peaceful sanctuary removed from your normal hectic life. 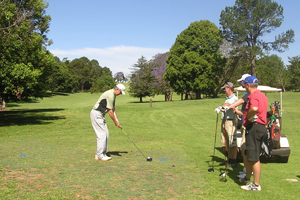 The course provides an enjoyable challenge for all standards of golfers. The fully stocked pro shop offers everything for your golfing needs. 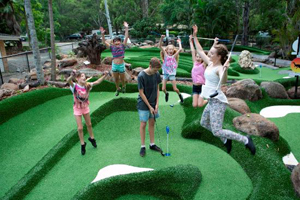 This entry was posted in Attractions, More Attractions and tagged attractions, gold coast hinterland, golf course tamborine, the green behind the gold on January 1, 2013 by admin. For fudge and a whole lot more! “Granny Macs Store” is famous for its wide variety of fabulous fudge made right here on the premises. Come on in and try over 40 varieties of mouth watering fresh fudge that all ages will enjoy. Reminisce as you explore and re-discover your favorite childhood treats. 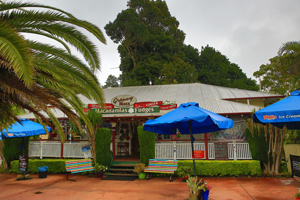 This entry was posted in Attractions, More Attractions and tagged Gallery Walk, Granny Macs Store, mount tamborine attractions on July 1, 2014 by Detlef. 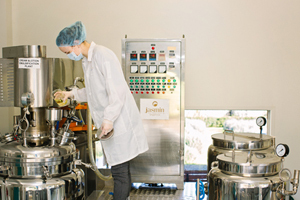 Take a factory tour and see firsthand Australia’s premium organic skincare lab in action and learn how premium skincare is made. 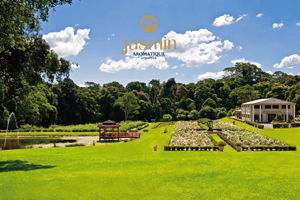 Visit the farm and factory of Jasmin Place, and see behind the scenes of where your favourite organic products are lovingly produced. Discover where skincare, science and nature all meet and enjoy a fun and interactive learning experience about different ingredients and methods we use to make Jasmin Organics products so unique. This entry was posted in Attractions, More Attractions and tagged Factory Tour, Jasmin Organics, Mt Tamborine on June 27, 2018 by Detlef. 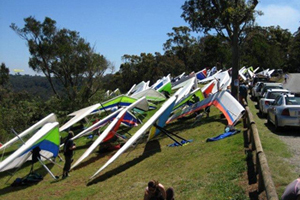 “Hang Gliders Tamborine Mountain” is one of the most well-known attractions on Tamborine Mountain, a cleared patch on the Western escarpment, easily accessible via Main Western Road. On days with the right weather conditions visitors can watch hang gliders and para gliders taking off! This is a beautiful spectacle to watch for young and old. Tandem Hang Gliding can be booked via the Canungra Hang Gliding Club. This entry was posted in Attractions, More Attractions on January 1, 2013 by Detlef. 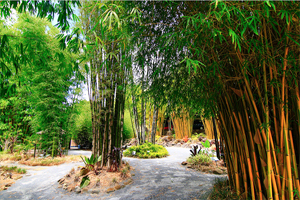 “Bamboo Down Under” is an amazing nursery at the bottom of Tamborine Mountain on your way up from Oxenford. 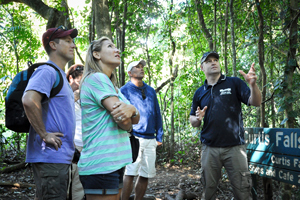 It’s so much more than a bamboo nursery – it’s a growing attraction!! Come and marvel at the tallest bamboos, stroll along the rainforest walk looking for Penny the Panda, or Freddy the Platypus in the creek. 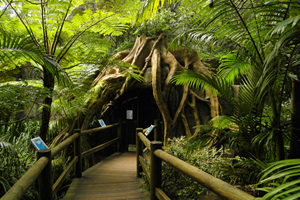 Enchanted Forest, Bamboo Tunnel, a crazy Bamboo Maze and gift shop. This entry was posted in Attractions, More Attractions and tagged activities, Bamboo Maze, mount tamborine attractions, Mt Tamborine, nursery on January 1, 2013 by admin. Preserving the Past for the Future! 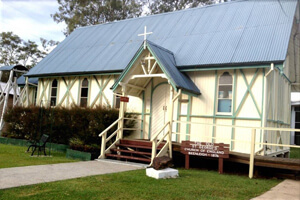 The “Beenleigh Historical Village and Museum” takes you on a journey of years gone by. This collection of our Early Australian heritage is dedicated to preserving the cultural legacy of the old Beenleigh region for current and future generations. Features early Australia memorabilia, collections of items and even twenty heritage buildings which have been lovingly preserved and restored. Open 7 days from 9am to 3pm. This entry was posted in Attractions, Beenleigh Attractions, More Attractions and tagged attractions, Beenleigh, Beenleigh Attraction, Historical Museum on July 2, 2017 by Detlef. The “German Cuckoo Clock Nest” offers the largest variety of Grandfather Clocks, Cuckoo Clocks, Wall Clocks, Mantel Clocks and contemporary timepieces too. Huge range of German souvenirs including cow bells, German music, beer steins and Christmas items all year round. Expert service and repair. Open 7 days 10am to 4pm. This entry was posted in Attractions, More Attractions and tagged arts and crafts, Gallery Walk, Tamborine Shopping, tourist lane on January 1, 2013 by Detlef. 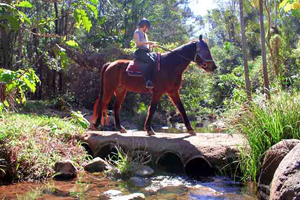 This entry was posted in Attractions, More Attractions and tagged adventure, horse riding, nature Tamborine, Tamborine national park, Thunderbird Park, trail rides, waterfalls on January 1, 2013 by admin. Thunderbird Park’s ultimate adventure experience! The Canyon Flyer is Australia’s longest guided zip line tour suspended over pristine rainforest and the cascading clear waters of Cedar Creek. 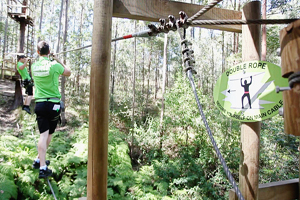 TreeTop Challenge is an adventure high ropes course with rope ladders, suspended bridges and flying foxes – it’s great fun, challenging and appeals to the daredevil in everyone! This entry was posted in Attractions, More Attractions on June 12, 2014 by Detlef. Join us for “Bird Feeding @ Thunderbird Park”. Colourful Birds fly down from the trees at 2pm daily. Enjoy delicious wood-fired pizzas, affordable snacks, softdrinks, beers, wine and coffees in celebration of this delightful spectacle of nature. 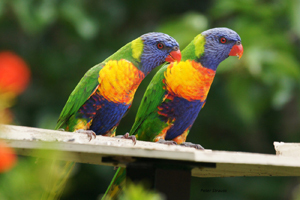 This entry was posted in Attractions, More Attractions and tagged activities, bird feeding, kids fun, Mt Tamborine, Thunderbird Park on January 1, 2013 by Detlef. 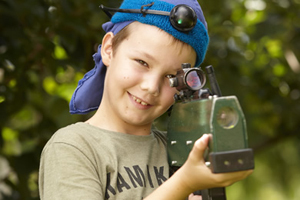 This entry was posted in Attractions, More Attractions and tagged adventure, gold coast hinterland, laser skirmish, National Park, Thunderbird Park on January 1, 2013 by admin. 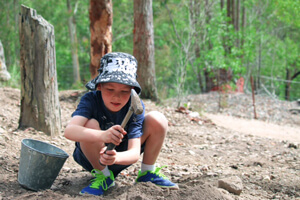 This entry was posted in Attractions, More Attractions and tagged activities, adventure, Fossicking, things to do, Thunderbird Park on January 1, 2013 by Detlef. It’s a HOLE lot of FUN! “Adventure Mini Golf @ Thunderbird Park” – 9 professionally landscaped greens with 3 holes per green. Choose your level! Test your skills with water hazards, rock traps, bridges, bunkers and other fun obstacles. All under the shaded canopy of giant eucalyptus trees next to Cedar Creek. Golf Parties are always a hit! This entry was posted in Attractions, More Attractions and tagged Family Fun, mini golf, Tamborine Mountain, Thunderbird Park on January 1, 2013 by Detlef. This entry was posted in Attractions, More Attractions and tagged Thunderbird Park on January 1, 2013 by admin.